Prepare to taste more action and thriller in Awesome tanks 3. Face off against enemy tanks as you operate a tank and are being isolated in to an area full of tanks where you have to fight your way out. 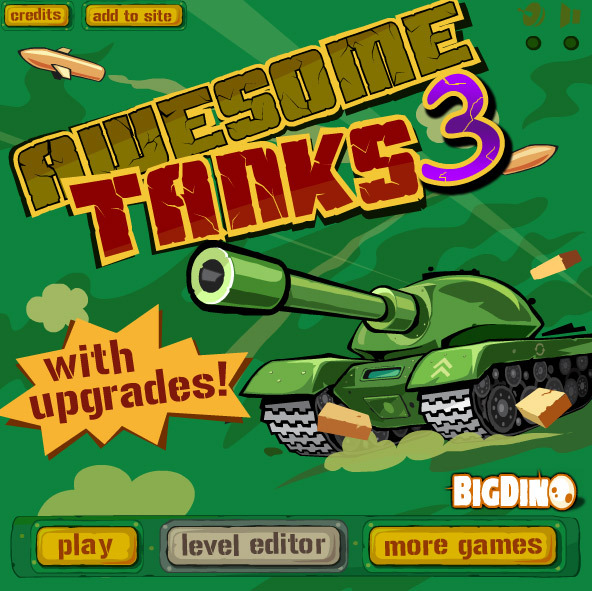 Awesome tanks 3 brings more action, adventure and entertainment with the improvement of the game and its functionality. Start off once more with the orange tank that has served you every time for fighting enemies and try to destroy them completely. 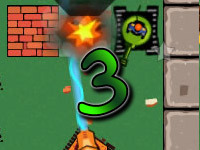 Begin the journey of another fun and destructive tank mayhem in Awesome tanks 3. 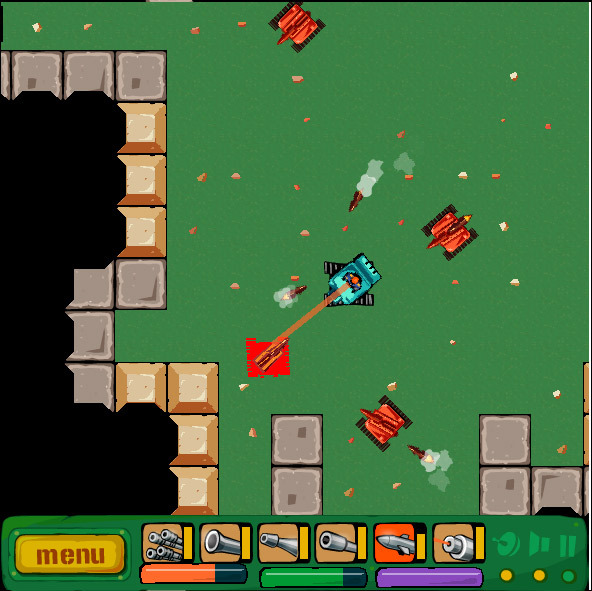 The game is a part of the series of games of Awesome tanks, which is quite similar to the previous parts but offers and introduces much more features in the game for the first time. The game begins with the usual orange tank isolated in an area filled with enemies hidden in a fog and you can only see them once you get in range. 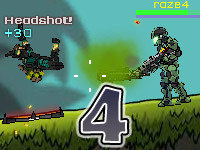 Survive the deadly mayhem in the game and destroy the enemies that appears and you will proceed to the next level. 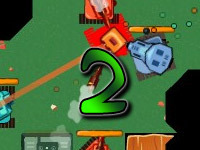 Awesome tanks 3 offers several unique purpose in the game and has undergone several changes which was not available in the other parts, the objective of the game includes completing certain challenges within the level before proceeding to the next level, boss fights are also included in the game which are quite challenging and difficult. 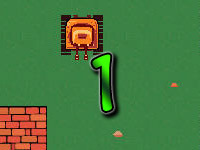 There are a total of twenty levels instead, and each level has a completely different stage set up with uniquely challenging scenario. Driving the tank is not easy, but after few minutes you should get a hold of it. If you played games like earn to die before, then you probably know that after some time you get “connected” to your vehicle and that makes everything much easier. Driving a tank can be as easy as driving a regular car , but surly that’s something you don’t want to do in real life 🙂 Imagine driving on the highway and seeing a tank driver showing you the “special” finger while passing – pretty funny. 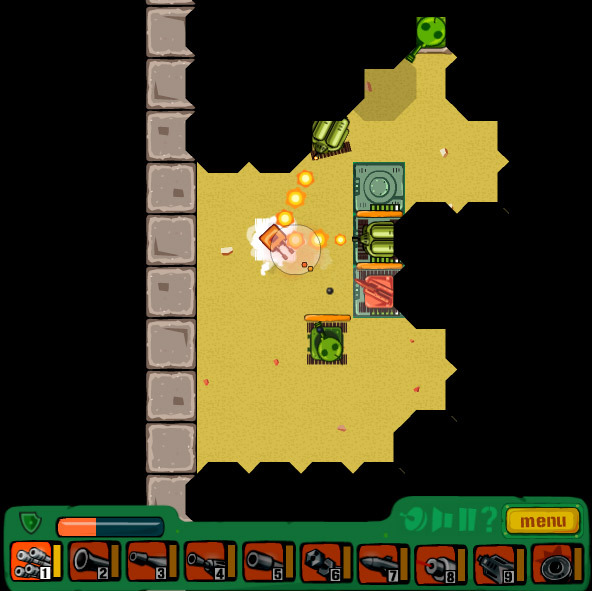 Normal Mode – This is the classic game mode where the objective is to destroy all the tanks that appear in front of you. As you destroy all the tanks in the stage, the next level will be available for you to play. Challenge Mode – This is a new game mode where there are multiple objectives provided in each of the many challenges available, these challenges can be played any time and after the completion of each, you will be able to purchase various upgrades of your tank. The challenge mode consists of various objectives starting from objectives as simple as destroying certain enemies, to quite complex as avoiding any damage of your tank when fighting a battle. With over 30 small challenges in the game to choose from, you can have compete against other players and compare your scores and completion of the challenges. The scores or points are quite similar to the previous one but with slight changes. 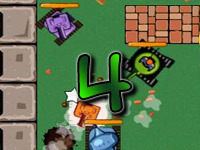 With the help of these scores you can buy various weapons and upgrades which can be very useful, the game also scores you on your ability to avoid damage and to complete the game faster. The game has added the feature of different achievements and trophies as well, these achievements are awards that are granted upon completing a certain challenge during any time of the game. These achievements can later be reviewed and the incomplete ones can be again re-attempted during any time of the game. The achievements are not a mode and for this reason they can be attempted anywhere, whether you are playing in normal mode, destroying tanks, or you are trying to complete a challenge in the challenge mode.